Drinking more water is good for your skin, hair, mind and body. All our Water Bottles are BPA free. We can create your unique designs with stunning embossed effect customised logo prints that are durable and scratch resistant, the water bottles come in a huge variety of coloursn, we can also provide different caps to suit your preferences. If you require 1 bottle or 1000 we can cater for all your needs get in touch with us today for a quote. The Atlantic aluminum bottles are amongst our best selling bottle BPA free 750ml it more than enough size to quench your thirst. These bottles really make your logo shine! they look sleek, brushed metal look colors to set off your design. With its single-wall aluminum construction, 2 lids 1 screw-on lid with metal carabiner clip 2nd one is screw on leak proof sports lid with a pull-up sipper spout on the black screw-on cover prevents splashes when they’re on-the-go. 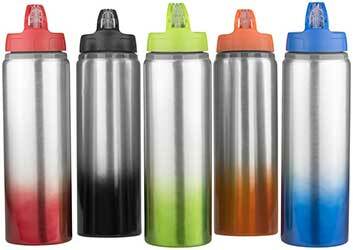 We can print up to 10 colours onto this bottle Prices includes 1 logo 1 position. Price`s from £12.00 each. Quantity 6-20 from £8.00 each. Quantity 20-100 £7.00 each. 101+ call for best price. Capri sports bottle. 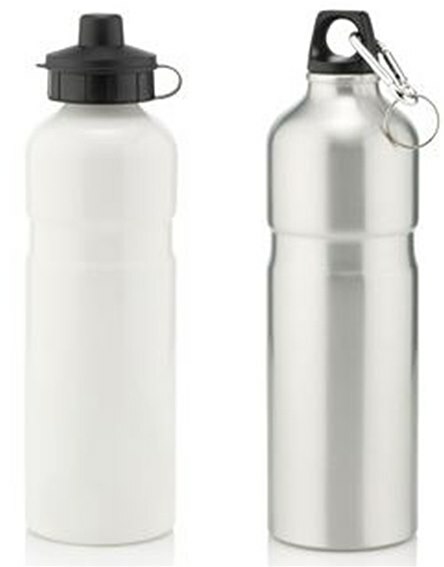 Bottle with press-button, flip-open drinking lid with spout. Volume capacity is 700ml. 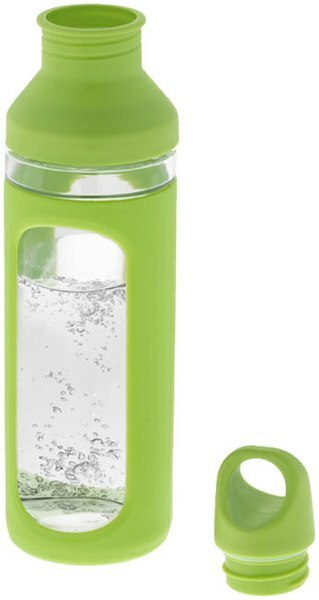 BPA free tritan. Price`s from £16.00 each. Quantity 6-20 from £12.00 each. Quantity 20-100 £9.00 each. 101+ call for best price. All prices Include Printing. Price`s from £20.00 each. Quantity 6-20 from £15.00 each. Quantity 20-100 £12.00 each. 101+ call for best price. All prices Include Printing. Geometric bottle. Stainless steel bottle with inner wall and geometric cuts. Outer wall in smooth acrylic material for logo adhesion. Screw on/off lid. Stainless steel inner wall is removable for easy cleaning or use of the acrylic bottle without the liner. Volume is 475 ml. Stainless steel with plastic casing. Price`s from £22.00 each. Quantity 6-20 from £19.00 each. Quantity 20-100 £15.00 each. 101+ call for best price. All prices Include Printing. Price`s from £25.00 each. Quantity 6-20 from £20.00 each. Quantity 20-100 £15.00 each. 101+ call for best price. All prices Include Printing.